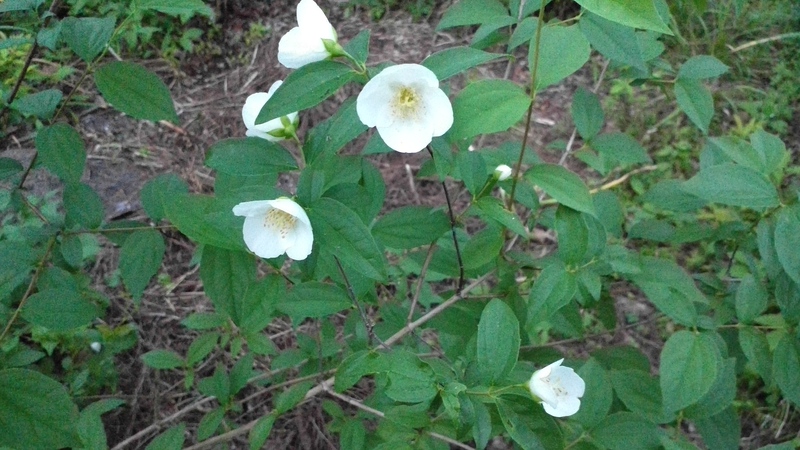 People call Philadelphus sps. 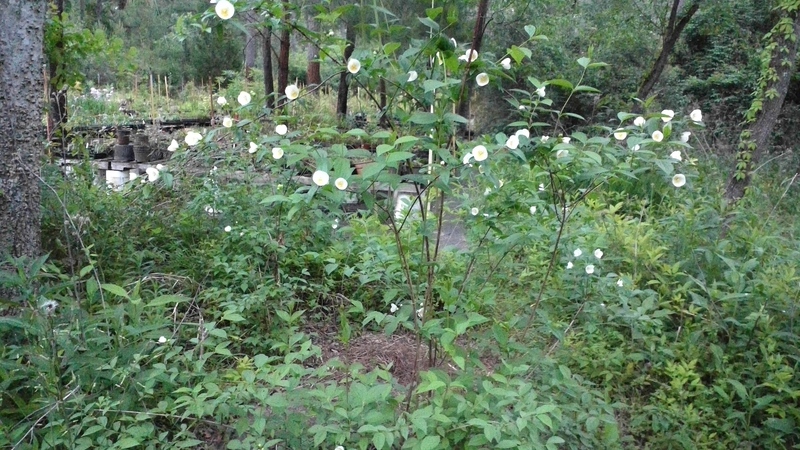 “Mock-Oranges” and “English Dogwoods” because their white flowers reminded people of Oranges and Dogwoods. 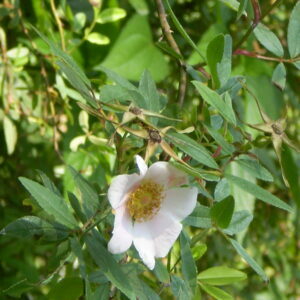 Several species (some native and some introduced) have been cultivated in the South. 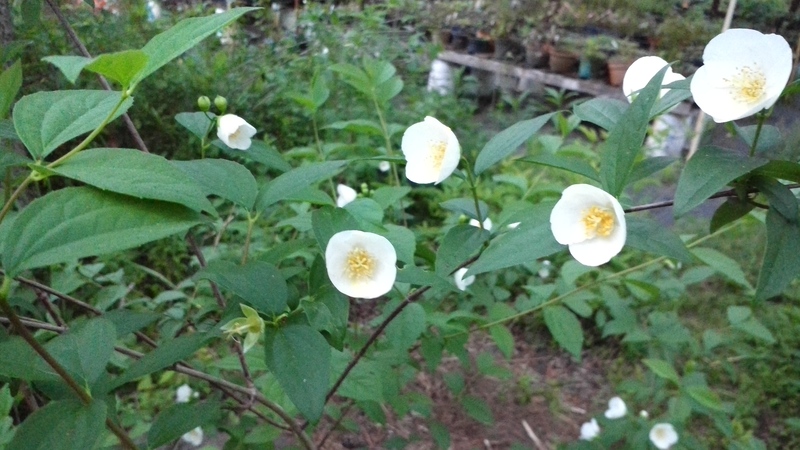 Our native Philadelphus inodorus is the best Mock-Orange the hotter parts of the South. 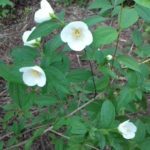 Debbie Lord described wild stands of Philadelphus inodorus, as “blending the beauty and grace of a rustic camellia with the cast-iron constitution of a weed. 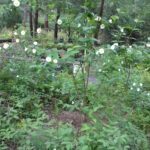 ” She says “When I was young, every great gardener of the South placed the native Philadelphus among the first rank of garden shrubs, alongside azaleas, camellias, gardenias and hydrangeas. 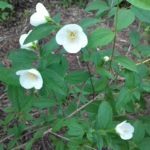 And because it was so easy to grow — much less finicky than azaleas and gardenias, much faster growing than camellias and hydrangeas _ and so unfailingly rewarding when in bloom, it was one of the South’s most common large flowering shrubs.” Yet, it is hardly sold in nurseries anymore. Why is that? 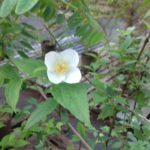 Lord suggests that when the European cultivars of Philadelphus were introduced to the South and failed to thrive in our conditions, particularly our hot nights) people assumed that our native Philadelphus were wimpy as well. 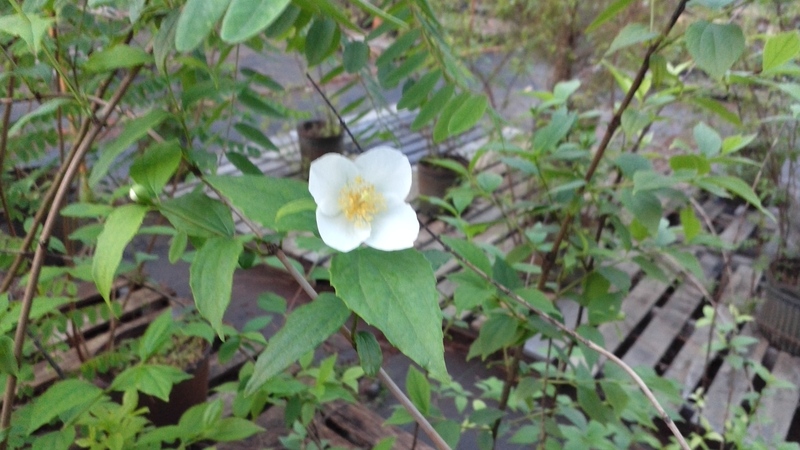 Our native Philadelphus inodorus are anything but wimpy. 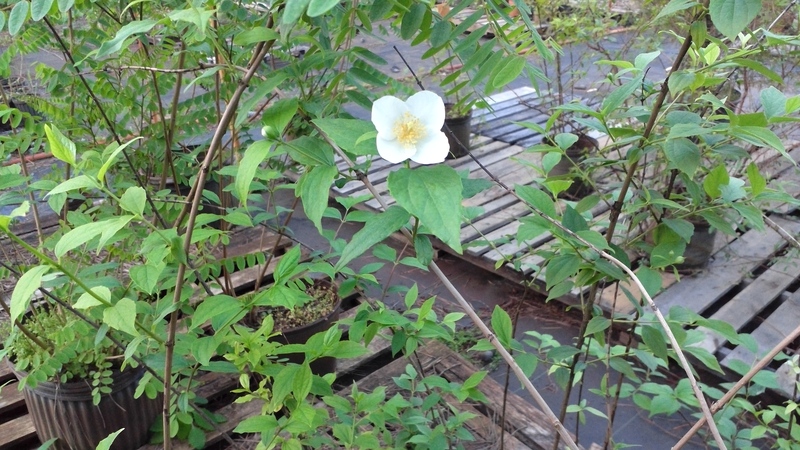 We have two strains of Philadelphus in our nursery. 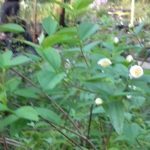 Donna Fletcher shared some plants that she rescued from Lexington County, SC a few years ago. I tucked them under a Sugarberry (Celtis laevigata) in one of the driest places on the property, watered them in and let them go. The tallest ones are about 6′ tall now. They started blooming in April. They have been glorious this Spring. 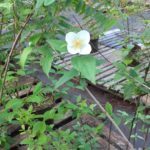 Even the ones that got swallowed by vines and weeds are blooming. In the summer of 2016, I found another population in Colleton County, SC. Of course, I collected a little propagation material from them as well. I have grown Colleton County plants in pots in the nursery. Since they have been watered, weeded and occasionally fertilized, they are already as tall (though not as full) as the ones in the ground. They would be bigger if I had repotted them more frequently, instead I waited until they became so top-heavy that they blew down in the slightest breeze. 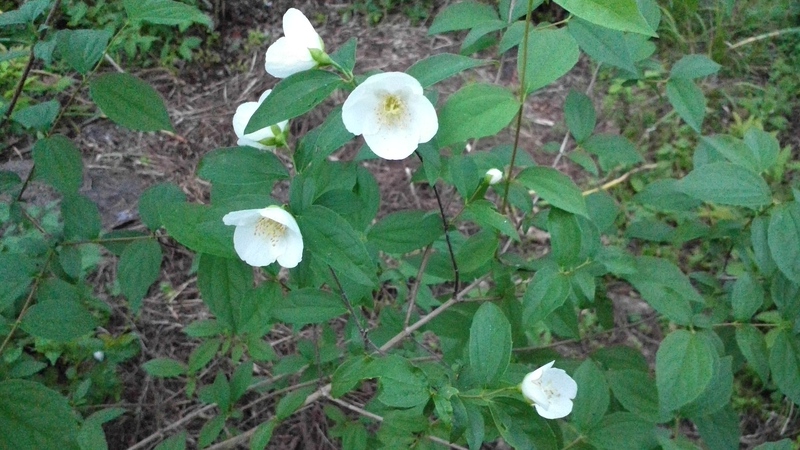 Neither group of Philadelphus have ever had a insect or fungi problem. 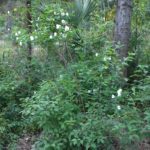 Plant Appalachian Mock-Orange in full sun to part shade in average to fairly dry soil. 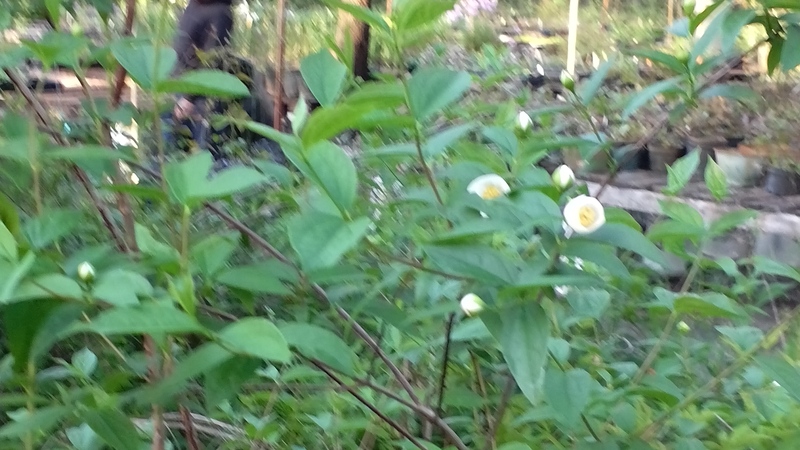 They thrive in the high-calcium soils, that cause azaleas, camellias, and gardenias to fail but I have also have seen them growing beautifully among azaleas and camellias. They bloom more heavily in the sun, but they will be more drought-resistant in part shade. Untended, they can grow up to 12 feet tall and wide. However with a few minutes of pruning a year, you can easily keep them much tighter. 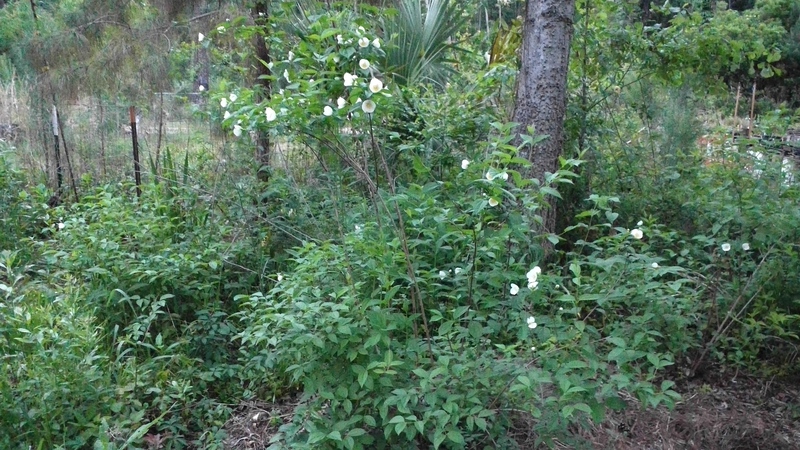 (NEVER SHEAR A PHILADELPHUS: After blooming, count the “canes”. Cut 1/3 of the canes to the ground (eg if you have 15 canes, cut 5 of them to the ground). Spray rubbing alcohol on your pruners to keep from introducing diseases to the plant). DO NOT LEAVE NUBS. NEVER SHEAR THEM. Shearing destroys its beautiful arching habit.